This Sleek and Contemporary Crystal Chandelier is dressed with Royal Cut crystal, in a Polished Chrome finish (also available in different sizes), will be the perfect addition to any room. 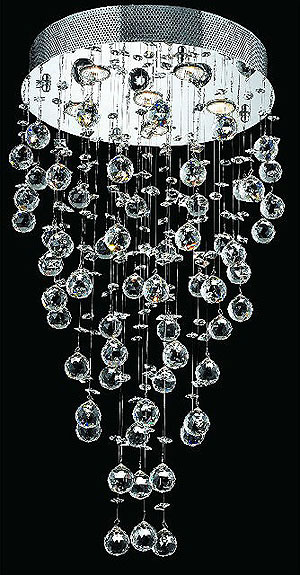 This fixture is also available dressed with Swarovski Strass or Spectra crystals. Please call Customer Care toll free at 1-800-819-4577 for pricing.